In his message for the 27th World Day of the Sick on 11th February this year, Pope Francis urges believers to promote a culture of generosity, noting that generous giving is a barometer of the health of a Christian. Pope Francis says that those who care for the sick and give of themselves with generosity and straightforward love – like St. Mother Teresa of Calcutta – are amongst the Church’s most credible evangelizers. In his message for this year’s World Day of the Sick the Pope focuses on Jesus’s words to the Apostles: “You received without payment; give without payment” (Mt 10:8). Established in 1993 by Saint John Paul II, a different city is chosen each year to host the World Day of the Sick. In 2019 Calcutta in India will host the occasion, and Pope Francis has highlighted the figure of Saint Teresa of Calcutta as a model of charity who made God’s love for the poor and sick visible. On this day we pray for any of our Brigidine Sisters who are sick, in nursing care or undergoing treatment or rehabilitation. 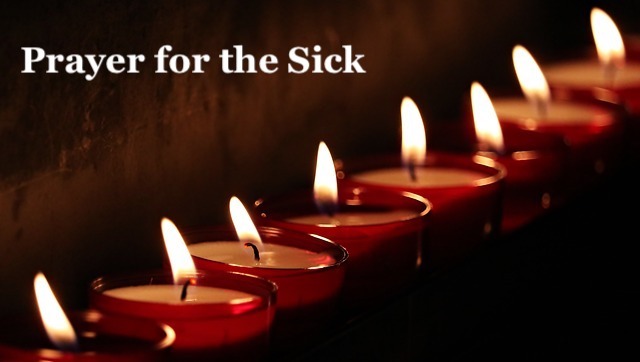 We pray also for any of our Brigidine Associates, family members, colleagues and partners in ministry who seek the healing love of God at this time and for those who minister as nurses, personal carers, doctors or health care emergency workers.